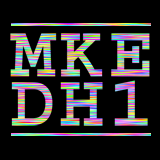 Following in the footsteps of those before us, mainly SuperHappyDevHouse, we are starting something new in Milwaukee, and it’s called (aptly enough) MilwaukeeDevHouse. And there will be numbers. And they will be sequential. And MilwaukeeDevHouse1 will happen Friday, March 14th, 2008 at Bucketworks in Milwaukee, Wisconsin. We’ll start around 7PM and go until we pass out, we get kicked out, or we’re out of ideas. MilwaukeeDevHouse aims to be the premier regularly scheduled hackathon event that combines serious and not-so-serious productivity with a fun and exciting party atmosphere. MilwaukeeDevHouse is intended for passionate and creative technical people that want to have some fun, learn new things, and meet new people. Posted on Friday, January 25th, 2008 at 12:30 pm. Subscribe to the comments feed. Both comments and pings are currently closed. Post on your own blog.